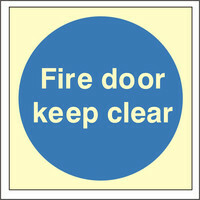 Warn employees and visitors of potential hazards in and around the workplace. 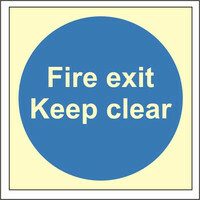 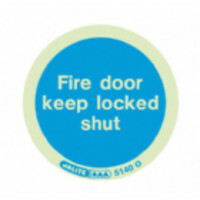 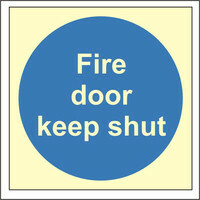 "Fire Door Keep Shut" sign. 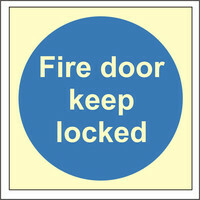 Printed onto photoluminescent rigid plastic maerial. 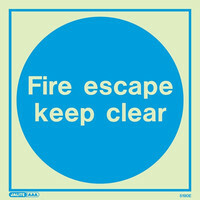 Photoluminescent 'Fire Escape Keep Clear' sign. 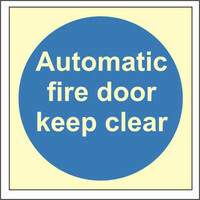 Available in 200x200 or 300x300mm. 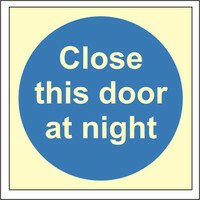 Choice of rigid plastic or self-adhesive.